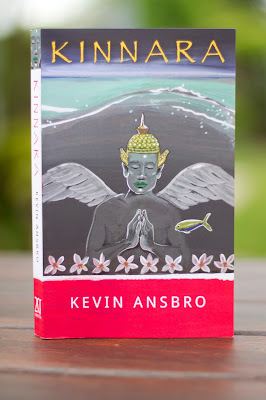 Kevin Ansbro was born of Irish parents and has lived in Malaysia and Germany. Kinnara is his latest book. His formal education was at Hamond’s Grammar School in Swaffham, and at the Norfolk College of Arts and Technology, King’s Lynn. 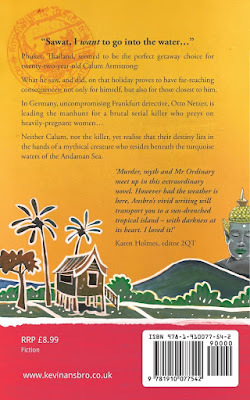 Perhaps incongruously, for an author, he has a background in karate and kickboxing and has also travelled extensively – particularly in the Far East. 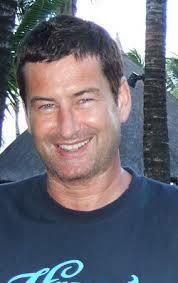 He is married (to Julie) and currently lives in Norwich, England. Stuff about him: he’s a foodie; he values good manners, love and friendship above all else; he is constantly putting his foot in it: he loves to laugh, but sometimes does that 'snorty pig' noise when he does! He’s notoriously naughty, but also easy-going and extremely friendly. Ha! Who needs plans? Like any sensible schoolboy, I imagined I would be a medallion-chested billionaire aboard my luxury yacht, surrounded by Pirelli calendar girls. Curiously, this didn’t happen; instead, I began adulthood realising that achieving good qualifications in art and English literature didn’t immediately propel me into a life of glamour and affluence. Oh, Kevin Ansbro is most definitely my real name. Otherwise, I would have chosen something far more jaunty – like Rooster Hipthrust, or Lancelot Mustang! Other than the obvious, I can speak schoolboy French and German, quite a bit of Turkish and Thai, plus a smattering of various global greetings. I have, though, made some hilarious mistakes when ordering food in far-flung countries! The disloyalty and duplicity of those whom I previously thought of as friends (we’ve all been there). That said, It takes a lot to upset my applecart. Magical realism: Salman Rushdie, Gabriel Garcia Marquez and Carlos Ruiz Zafón are just three of my literary heroes. Books that portray the grunt of life, just as it is, can quickly become prosaic; why not distort that reality and add some bombastic pizzaz to keep the reader fascinated and enthralled? 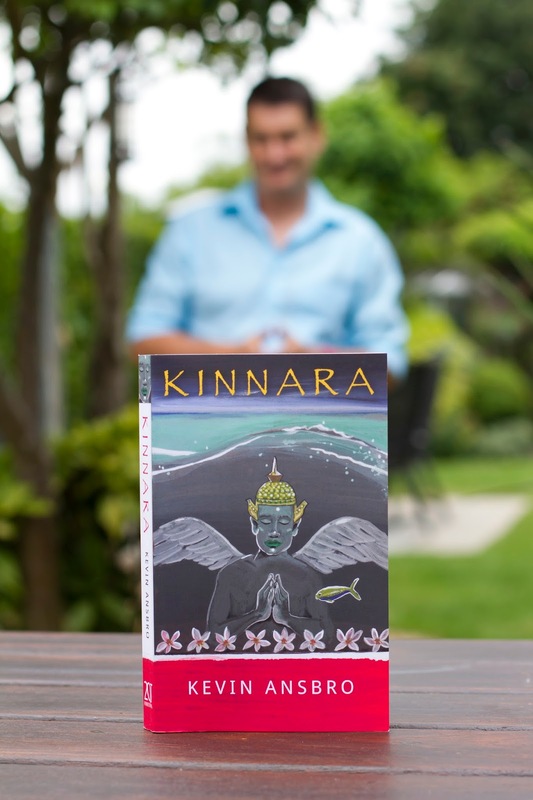 My latest published work is the novel KINNARA. It’s certainly outlandish; it’s likely to make you laugh and it might make you cry. 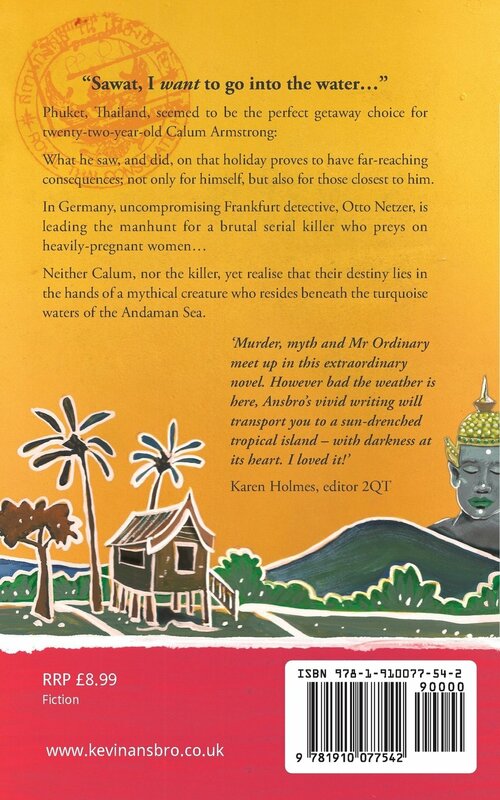 KINNARA is a rambunctious killer-on-the-loose beach read with a few surprises for the unwary reader. It’s nasty, funny, heartbreaking and uplifting. Intrigued? You bet you’re intrigued! What keeps you motivated towards writing? There is a whole universe of stories that I want to offload. I’m fervidly passionate about the whole writing process, and knowing that I have taken other people on my imaginative journey is exhilarating! Oh, easy! A paperback of course! There are few better pleasures in life than the feel and smell of a real book as you prepare to read its first chapter. Plus I enjoy the thrill of chasing down an escaped page as it flutters down the beach! I’d be a pretty poor writer if I wasn’t also an avid reader. My most recent read was ‘The Spike Collection’, a selection of extremely funny short stories by talented English author, and friend, Martin Skate. My Goodreads review of Martin's book. I am currently reading a pre-release of Hunter’s Moon, written by my wonderful friend, Canadian author, Sheri McInnis. In fact, I’m already suffering withdrawal symptoms whilst answering these questions! Excellent, Jaideep! I adore questions like this! Hmmm, waking up to discover I’m a woman? So-o... (after my wife and I have scrambled out of bed, and have finally finished screaming like banshees) I’d like to think that I could rock the look, and might one day marry Prince Harry in Westminster Abbey! Not sure how we’d explain all this to my in-laws, though. Is it likely to happen? I feel wholly unprepared for such an unexpected event! Jaideep, I have thoroughly enjoyed answering your questions, and I look forward to revisiting them on your excellent blog! Goodreads author page: Kevin's author page. Amazon link: KINNARA on Amazon U.K. or KINNARA on Amazon U.S.